I purchased a Fed 5 from ebay. I don’t know who made it. It was crudely made and not anything I wanted to keep. Perhaps with Leica’s partnership (rather than from the earlier construction from design plunder) the camera will turn out to be a reliable alternative. I’ll take a pass on this though. Leica has partnered successfully in the past with Panasonic and Sony and Minolta, perhaps others I don’t know about. Perhaps Russian quality control is better today than it used to be. Time will tell. The weird thing is, I think this devalues my perception of Leica in a way none of their other partnerships had until now. I love what they did with Panasonic since their digital expertise helped push Leica in new directions. Their acclaimed (and wildly expensive) SL is mostly a Panasonic! That’s a good partnership. I’ve always associated Zenit with cheap, clunky, cumbersome, ultimately disposable and esoteric cameras. Something to be roughed up, and maybe even experimented with. These were not meant to last a lifetime – just long enough to lose interest and then eventually sell off to someone else. I feel like this peels back the curtain – these ARE just hunks of metal, plastic and silicone. That’s it. No *soul* or charm, or essence, or what have you. The sensor is the same – only the shell has changed, and not by much. It’s just a brand – a dot, an idea. And there, I think is the difference – Leica is meant to be about precision, about seeing things differently, and their partnerships are meant to be mutually beneficial. In this case, I think they chose a partner who has no real vision other than to take what others have created and repackage it. The lowest common denominator. I would rather Leica rerelease the M-240 as a ‘budget’ model the way they did with the M-E. I am, however, interested in the 35mm 1.0 lens and wish that was available separately. A lens development partnership, however, I think would make more sense. I wonder if there are financial problems in the pipeline, or whether the lesser Leica models will eventually be manufactured there as in the German version of Nikon’s China productions. I can’t imagine another reason for the unlikely flirtation unless it has something to do with oligarch money or the state power behind that, too. Poor Leica… was a time. I can understand the links to Panasonic and Sigma but this Zenit M has me scratching my head. If the price was significantly lower it would make sense, but it’s not. The upside is the SL line will now be supported by two additional manufacturers who are promising some very interesting introductions and in doing so are taking some of the investment pressure off Leica. Full frame Foveon anyone? Despite the announcement of a whole raft of new cameras and lenses I’ll just carry on regardless, slumming it with my antiquated Leica M cameras and lenses. I think it has the potential to do well. If priced right, it allows a larger pool of photographers to use a digital rangefinder and gives us another option for a backup body and an interesting new lens option. Would I buy one? Probably not as I already own a digital Leica, but I can see many people going this way if the price is right and the quality is the same as the M240. If the quality is the same, then why buy Leica at all? Diluting the gene pool could be very dangerous, especially if said dilution is seen to be welcomed by the top love icon in the grouping. I guess it might also work the opposite was around, people starting on the “cheap” version and upmarketing when they can afford to do that. Yet, I wonder if, above a certain price point, that’s how it works: I remember the days of the Nikon F, F2, F3 and onwards sailing majestically within the flagship regata, but I also note that a lot of people today wax eloquent about their FM, FM2 etc, without any mention of having gone a step higher up the ladder. Having had both FM and FM2 just as companions to the better bodies for the single, simple reason that they offered a higher flash synch. I can state that the cheap cameras were not a patch on the top bodies. I disliked having to load them up and shoot. But apparently, for many, the name and the shape were motivation enough. Even if the quality is the same, it is older technology, which is why Leica will continue to do fine. 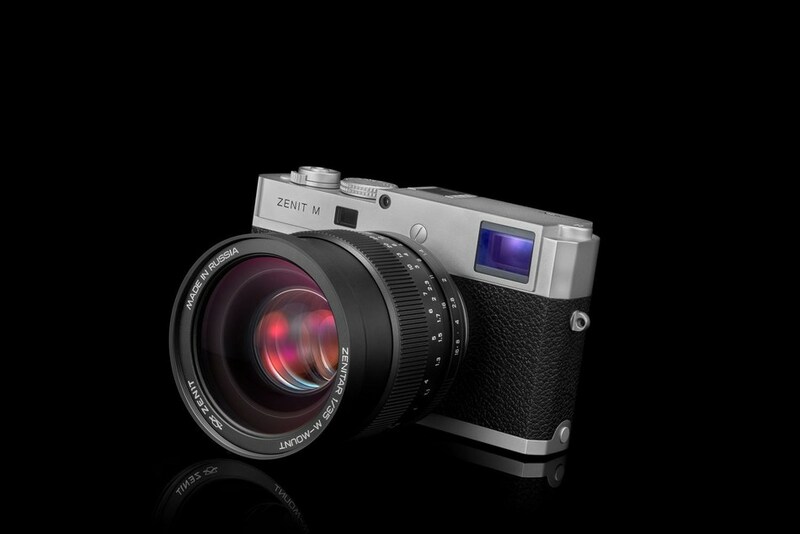 I’m sure that the M240 and its progeny will all be discontinued as the Zenit M hits the market. 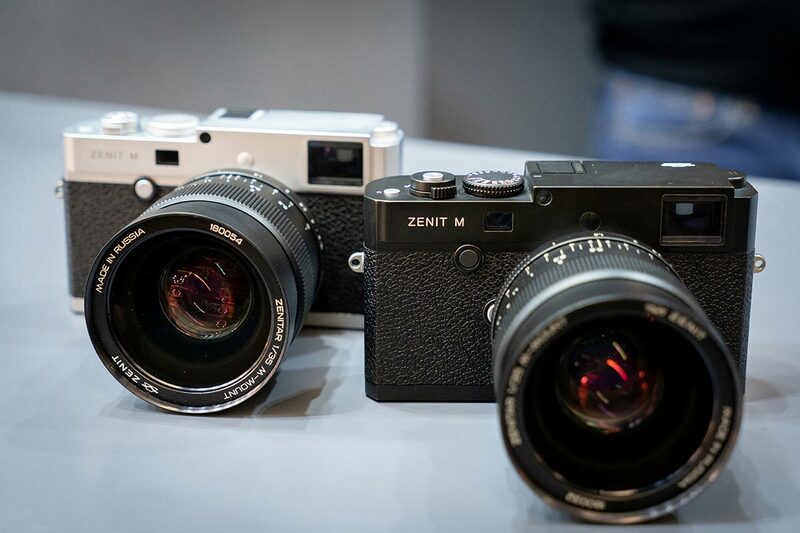 I can see people who really want a Leica but can’t afford an M10 buying a Zenit M for say $4000, while I doubt many M10 customers will downgrade. I agree that downgrading is almost certainly not on anyone’s card. It would be nice to own a rangefinder Leica at least once, but my interests now almost always include hand-held shooting around f2 (where available), making accurate subject placement and focus crucial that far open, so rangefinders are really not the best way to go. Were I, instead, espoused to the f8-and-be-there school of thought, the suspended frame lines concept would indeed be quite a useful feature with its wider than used viewing advantage for those kinds of shots. As I don’t even chimp unless in very bad situations, inspecting electronic screens, large or tiny, isn’t of interest to me. Sadly, at the price, I think Leica will always remain just a slight regret at an unfulfilled wish. It wouldn’t, for me, ever have become a system camera. As, increasingly, are mine – witness, for example, many shots in my India galleries. I have to admit that buying into the Leica M system and not being able to see DOF was a huge concern and a potential deal breaker. It took a little while to get used to not having the facility and placed importance on getting to know my lenses and their behaviours. Five years on and seeing DOF when using the rangefinder hardly ever enters my head: I simply know what it is I’m going to get. I do of course have the additional capabilities with the use of liveview via the LCD or EVF to see DOF but still prefer wherever possible to rely on the rangefinder and the knowledge of my lenses. As an aside, the RF viewfinder although not WYSIWYG is as expansive and bright as my previous Hasselblad H system optical finder which in turn is widely regarded as the finest DSLR optical viewfinder ever made. I see no mystery here. This is something aimed at well heeled hipsters for whom “Leica” means “good” and “Zenit” means “cool”. They’ll pair it with a “cool” lens and sell it for a bundle. This is probably just a way to dump inventory. I think that you are probably correct about this being a move to dump inventory, although I am sceptical that it will work. Zenit was a cheap basic brand, not a company selling cameras at 2x to 3x the typical market rate for a 24MP digital camera. I would bet that if Zenit made a real film camera at a sensible price (similar to the modern but now discontinued Zeiss Ikon) they would see far more interest. This would be especially interesting given that Leica seems somewhat disinterested in its own film cameras these days. I’d suspect that making a new film camera would be a waste of money. If Leica is, indeed, losing interest in its filmies, then it must have a pretty good economic reason for feeling that way. Nobody, today, could have a stronger appeal to a new film camera buyer than that company has; it’s both alpha and omega in that respect. Considering the cost and inconvenience of film as medium for a new buyer, especially one with no history of the process, film must represent a luxury concept, something over and beyond the mundane business of just making snaps. If so, then hardly something that equates with digging around in flea markets, with all the risks of throwing money down the toilet, especially for somebody unacquainted with film cameras; you’d buy the real deal. As much as I loved my 500 Series cameras, I would not, today, buy an old one because of the servicing and parts future. A desire to get into film today must, surely, for the frst-timer, be something that is based on the romance of the history of all those icons whose work became legend. An interesting thing to ponder is this: given the choices we have now, would they all still have been film photographers? Without the psychological baggage that we later people have both developed and maintained about film, why would they consider it offered them anything but inconvenience? There was no known “art photography” business then; it was about getting the shot and earning a living, which usually depends on the difference between expenditure and earnings, not the pleasures of grain and the smell of darkrooms in the morning..